On Tuesday, November 6, Kinsman returned to Colgate to talk about her work with the National Oceanographic and Atmospheric Administration (NOAA) in Alaska — America’s “last frontier” — and give students at her undergraduate alma mater advice about pursuing public science and governmental research. The visit was sponsored by the Department of Geology and the G. Arthur Cooper Endowment Fund. After graduating from Colgate with a degree in geology, Kinsman earned her PhD from the University of California–Santa Cruz in earth and planetary science. From there, she worked for the Alaska Department of Natural Resources for five years before joining NOAA as a geodetic advisor in Alaska. Geodesy — or what Kinsman calls “the study of where things are at any given time” — drives everything from the accuracy of your car’s GPS to NOAA’s ability to predict the effects of climate change on the Alaskan coast. A large portion of Kinsman’s work seeks to counter the negative effects of climate change and environmental disasters by building better mathematical models for scoping out where things are in relation to one another. But Kinsman is one of only eight National Ocean Service employees in Alaska. And, although the state’s coastline is longer than every other state’s coastline combined, half of it has never been properly measured. Measurements for the other half date so far back, they’re nearly unusable. For NOAA, that’s a huge problem. 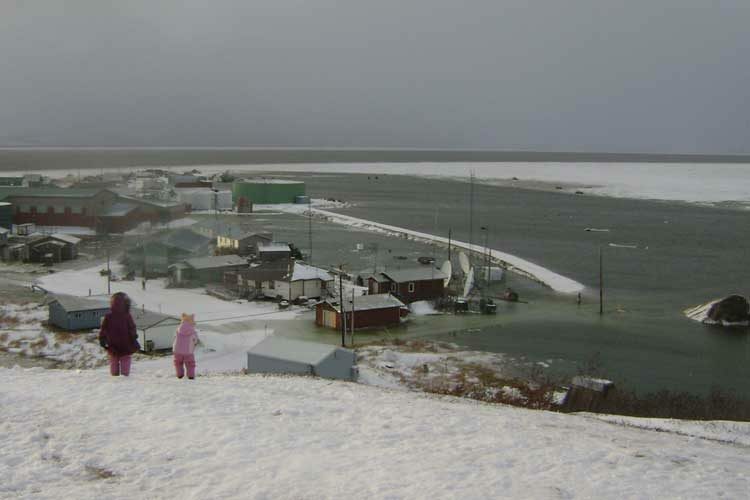 If they don’t know where sea level is, they don’t know exactly where future flooding could occur at high tide, and a flooded airfield could delay the delivery of crucial supplies to coastal communities. A lack of accurate data can make it hard to prepare for high waves, tsunamis, and salt sprays that can devastate populations centers and wreak havoc on the environment.